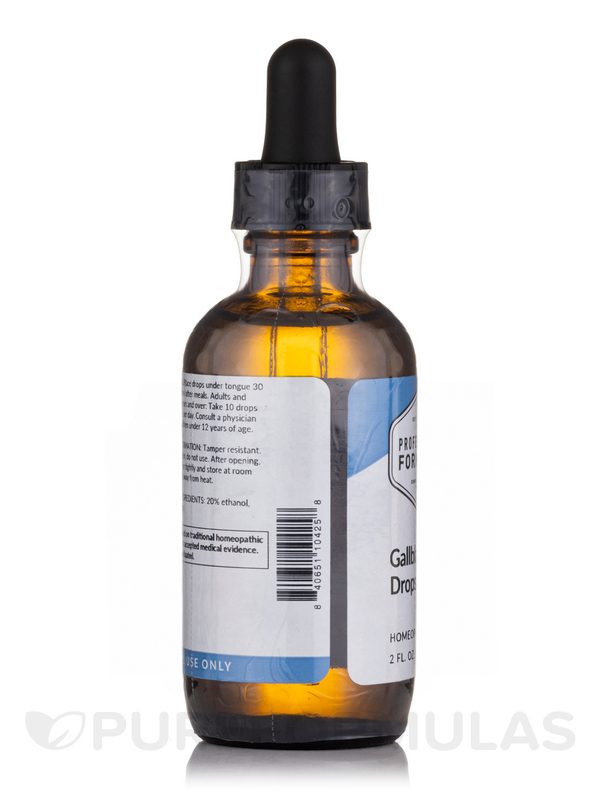 Professional Formulas Gallbladder Drops 2 oz. 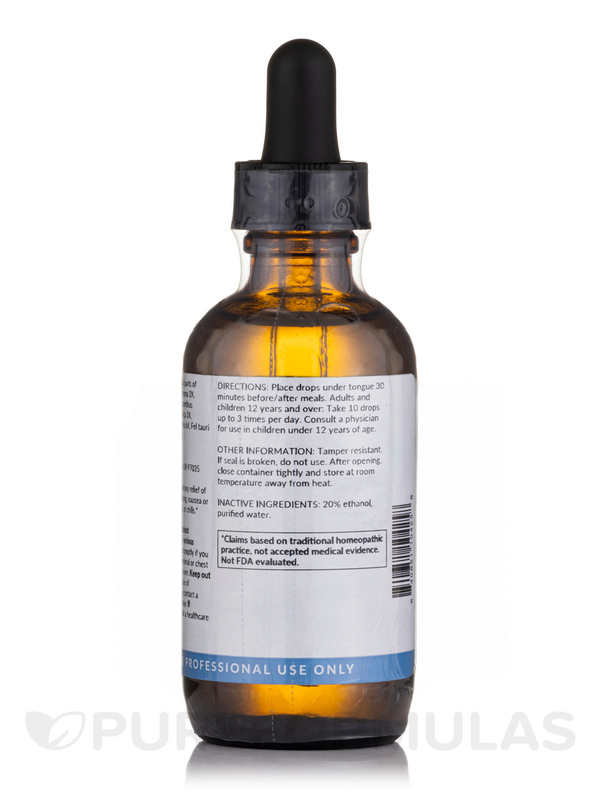 (60 ml) provide individuals with gallbladder support through a mixture of natural ingredients. Professional Formula’s Gallbladder Drops 2 oz. 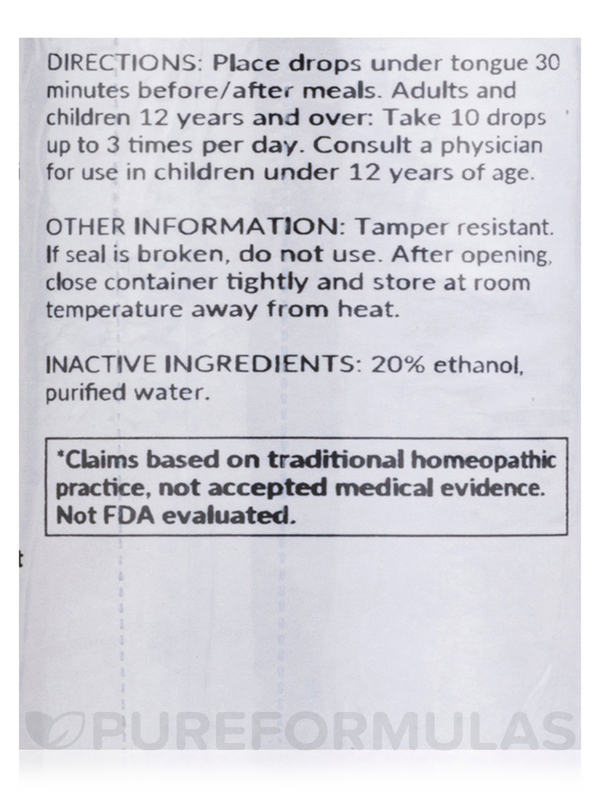 (60 ml) are compiled of various natural ingredients. These ingredients are thought to increase gallbladder health‚ help prevent gallstones‚ and soothe the symptoms of gallstones. In addition to the benefit of gallbladder health‚ this formula also may provide relief for symptoms such as upset stomach and acid reflux. 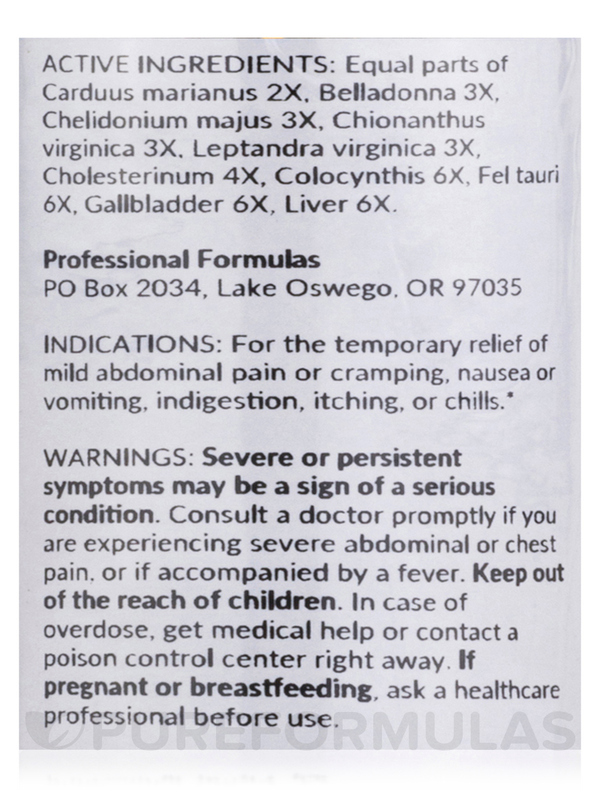 The ingredient Chelidonium majus is believed to aid in organ detoxification‚ which may further the health of organs such as the gallbladder. Carduus marianus 2X‚ Chionanthus virginica 2X‚ Leptandra virginica 3X‚ Gallbladder 3X‚ Liver 3X‚ Chelidonium majus 3X‚ Colocynthis 3X‚ Belladonna 3X‚ Cholesterinum 4X‚ 20% alcohol‚ purified water.